In my last two posts, here and here, I have said that I like some of Donald Trump’s policy ideas but he is too personally repugnant for me to support and vote for. Hillary Clinton is morally less objectionable than Mr. Trump but her economic policy proposals are unlikely to have much success. Poverty. Every capable person is expected to work or prepare for work. Poverty fighting programs will be directed to get people back on their feet. The poor will have more opportunities to succeed at every stage. National Security. It is a top priority to defeat radical Islamic extremism. We must restore American influence, advance free enterprise and expand the community of free nations. The Economy. We need to take a smarter approach that cuts down on needless regulations while making the rules we do need more efficient, especially for our small businesses. The Constitution. Agencies and bureaucracies should be subject to more scrutiny from Congress. Give Congress more say – and the final word – over what is being spent and why it is being spent. Health Care. Individuals should have more control and more choices in order to improve quality and lower costs. No one should have to worry about having coverage taken away regardless of age, income or medical conditions. Tax Reform. The tax code should be simpler, fairer and flatter while remaining progressive. It should be constructed to create jobs, raise wages and expand opportunity for all Americans. Conclusion. 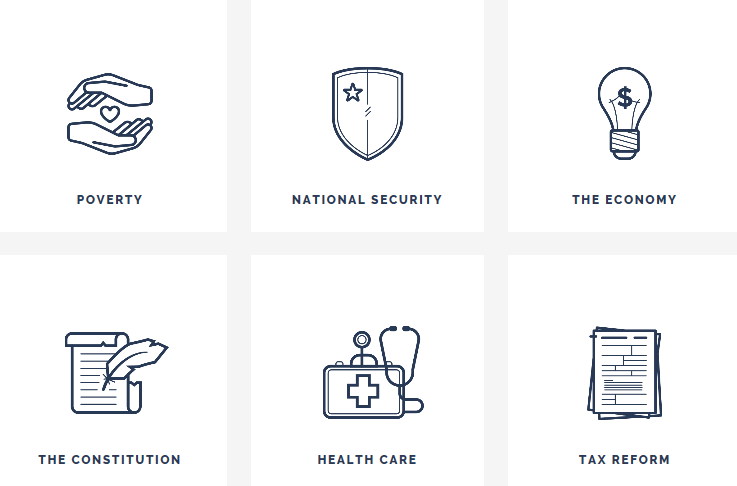 These principles are widely supported by almost all Republicans in Congress and are more important than specific differences on immigration, trade, or entitlement policy. Their serious consideration depends upon returning a Republican controlled House in 2017. This entry was posted in A Better Way, economic growth, economic mobility, economic opportunity, House of Representatives, House Republicans, Jack Heidel, Paul Ryan, tax reform, Wall Street Journal and tagged A Better Way, debt, deficit, economic growth, jack heidel, Wall Street Journal by jackheidel. Bookmark the permalink.